Eden Mobility is delighted to announce the opening of their 27th store in Stockport. The shop can be found on Prince's Street next door to Cash Converters and close to the popular Merseyway Shopping Centre. Eden's Promotions team have been visiting Stockport and the surrounding area for many years now and due to popular demand from the local people, Directors Karl Howe and David Hughes have decided to make Eden a permanent fixture in Stockport. 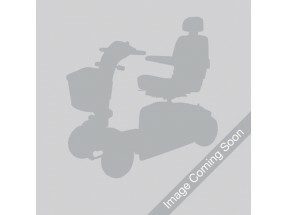 We have 12 used mobility scooters that are available to view at our Stockport store. Come on down to our store in Stockport and see our range of brand new and pre-owned mobility scooters for yourself. Our brand new Stockport store will soon be open! When our new store opens, you'll be able to come and see our range of electric powerchairs for yourself. Our new Stockport store will also be showcasing our range of high quality mobility recliner chairs. You'll be able to test them out for yourself and get a real feel for them. We have a live stairlift demonstration in every single one of our stores. Soon, our Stockport store will be open - enabling you to see a live stairlift demonstration! If you are looking for wheelchairs in the Stockport area, you'll soon be able to come along to out store on Prince's street and view them in person!